Where you can rent low cost car in Varna? Varna is the sea capital of Bulgaria and an excellent resort city. It has many interesting sites as well as perfect conditions for holiday. 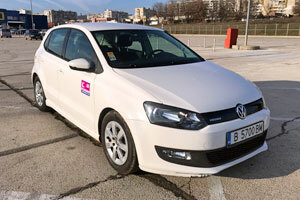 If you decided to choose Varna or you are already in the city you can rent affordable car from Low Cost Cars. We have 2 offices in the city which guarantees fast and easy access to every resort in the area. Our advice is to make your booking by calling us or using our booking platform. In 3 easy steps you can fast reserve your car. This will save you time and eventual disappointment during the high summer season. There are a lot of interesting things to do in Varna but it would be easier by rental car from Low Cost Cars. You can visit the sea resorts nearby or some othe culturat or historical places. All offices can be seen here. Office Varna Center ( Tsar Osvoboditel 17 А blvd) – ideal for tourists location who has just arrived in the city by train or bus and need low cost car for rent. Office Varna Airport – this office is perfect if you arrive by plane. You can start your trip across the sea coast with low cost car rental. The car will make your trip more pleasant and easier. You will have easy and fast access to all sea resorts nearby. Book online in 3 easy steps or by calling our representatives: +359 886 00 21 21. We offer affordable car hire services. Why choosing low cost rent a car service in Varna?